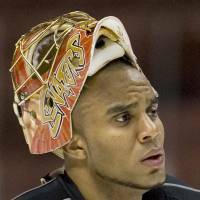 NEW YORK - Retired NHL goaltender Ray Emery, who helped the Ottawa Senators reach the final in 2007 and won the Stanley Cup with the Chicago Blackhawks in 2013, drowned in his hometown of Hamilton, Ontario. He was 35. Hamilton Police said Emery was identified as the victim of a swimming accident Sunday morning. Staff sergeant Paul Evans said police received a call just after 6 a.m. that an adult swimmer did not surface and that the Niagara Police assisted in the recovery effort. Emery’s body was recovered just before 3 p.m. Sunday. Hamilton Police said a cause of death would be confirmed after a post-mortem. 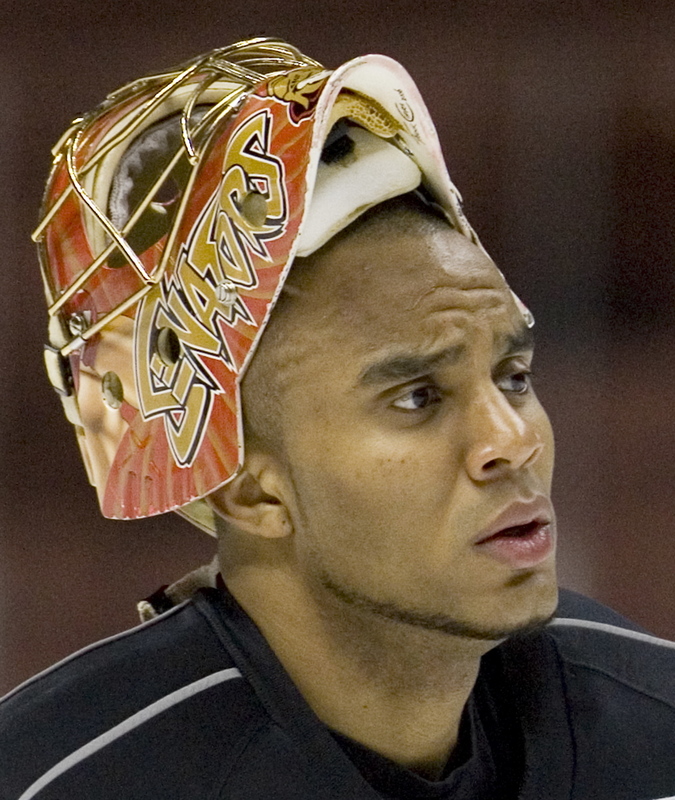 Nicknamed “Razor” for his aggressive style, Emery played parts of 11 seasons with the Ottawa Senators, Philadelphia Flyers, Chicago Blackhawks and Anaheim Ducks from 2003-2015. 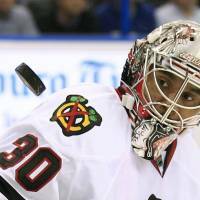 He helped the Senators reach the Stanley Cup Final in 2007 and won it as a backup with the Blackhawks in 2013. Emery battled avascular necrosis, the same serious hip ailment that ended two-sport star Bo Jackson’s career. 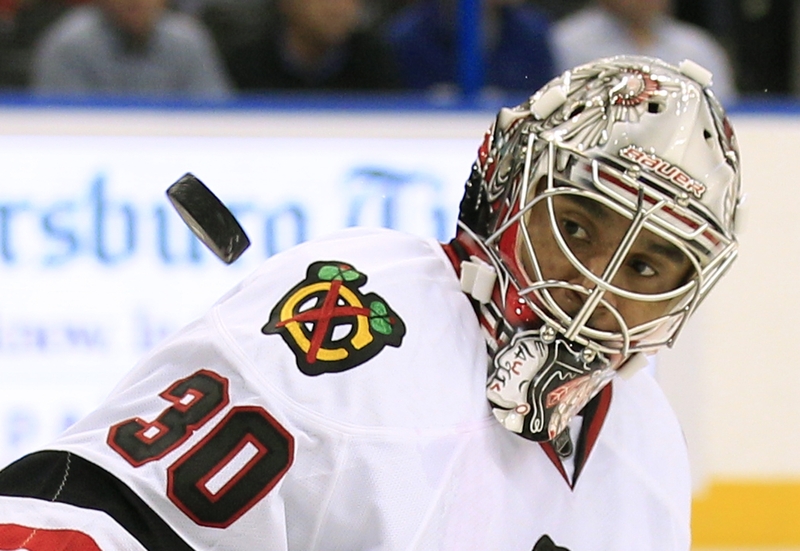 He and fellow Blackhawks netminder Corey Crawford combined to win the William Jennings Trophy for allowing the league’s fewest goals during the lockout-shortened 2013 season and finished seventh in Vezina Trophy voting. “The Blackhawks will fondly remember Ray as a fierce competitor, a good teammate and a Stanley Cup champion,” the team said in a statement. Throughout his career, Emery dealt with off-ice problems, including an incident of road rage, assault of a trainer in Russia and behavior that led to him being sent home from Ottawa’s training camp. Emery played in Zac Rinaldo’s charity hockey game Saturday night in Hamilton. After word of his death spread, condolences poured out from the hockey community. Former teammates lauded Emery’s mentorship and leadership, especially in his final professional season in the AHL in 2015-16. Enforcer-turned-analyst Paul Bissonnette, a teammate with the AHL’s Ontario Reign, said Emery would treat other players to dinner almost every night.